Broken Front Door or Frame? Doors for residential use are not usually damaged. The need of residential door repair is not universal, and people are not aware of the existence of professional companies specialized in doors. Some other people prefer to do the repair themselves. However, that is not always the best choice, particularly for the residential automatic door closer or other more complex entry systems.We will go through all the services you will need for residential door frames, to make you aware of what kind of repairs you can find for your home’s doors. We are a professional company specialized in all type of services for residential doors, frames and locks. Our area of operation is the greater Vancouver BC. If you live nearby, we can help on any repair, installation or door change you need to do. We have all type of services to take good care of your residential doors in a professional way. Most people are not fond of calling a stranger to working at their house. Some minor repairs can be done by any people with handy skills. Depending on the type of door, you will need different tools and expertise. For wooden doors, which are the most common at homes, carpentry skills are the most valuable. Metal doors like aluminum and stainless steel require even more advanced (and less common) knowledge and tools. If it is just lubrication or bolt adjustment, do it yourself is the best choice. You will save some time calling for a specialized service and money. When you need a more advanced residential door repair, it is best to call a professional company. To repair a closer and opener, are the most common lock services for residential doors. Especially when the lock is somehow automated, it presents more problems than regular locks. Sometimes, at home, people forget their keys, and it leads to the need of lock services. Some specialized locks require a skilled professional to get the job done. We have all covered, and you can trust we will take care of any problem you may have with your residential locks. The need to fix a door at a house is not common, but when it happens it is of vital importance. The most frequent service is the residential front door repair. It is not easy to find a professional specializing in any repairs of residential doors, but we have it all covered for you. The most common reason for the need of emergency repair of residential doors is vandalism and vulgarism activities. They can break the entrance doors, and after the incident, you would need to do some repairs. When you get a new door, usually the same vendor offers installation services. However, when you need a replacement, the new door provider does not include the desinstalation service. In those cases, you need to hire professionals to do it. Unless you are a skilled carpenter and you have the right tools, it is not always an option to do it yourself. It can take you twice the time it would take to a professional who makes a living from installing and replacing residential doors. Therefore, it is best to go for a professional installer. 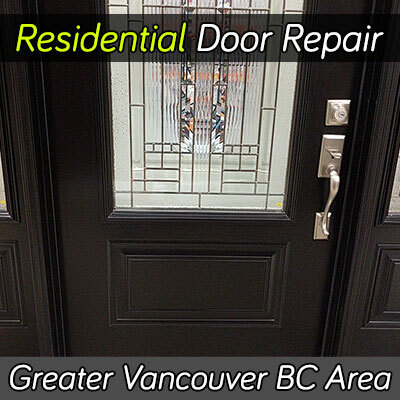 Our team of professional installers can take care of the installation and replacement of all your residential doors. They are trained to deliver a seamless service, leaving your home clean and undamaged.